We have information you must know before you buy the 500X. Get up to $4,250 in incentives and rebates. There are 6 styles with incentives in your area. In a world filled with largely forgettable crossovers, the brightly colored 2018 Fiat 500X offers Italian style, all-weather handling, and a fair amount of utility at a surprisingly attainable price. It also comes with a wide variety of optional safety and technology features that help it stand out from the competition. 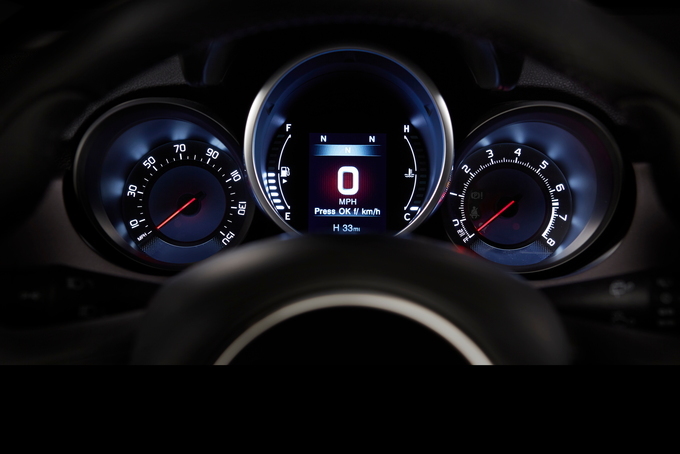 For 2018, Fiat has made the seven-inch UConnect infotainment system standard across all trims, giving all 500X models access to Apple CarPlay and Android Auto without requiring a pricey upgrade. The Fiat 500X is actually the Italian cousin of the Jeep Renegade, with both vehicles sharing a plant in Italy. That being said, the two vehicles have very different feels. Where the Jeep is rugged and boxy, the 500X feels like you're inside a fashionable jelly bean; they're two different cars for two different types of people. Despite the differences, the 500X and Renegade share their powerplants. The 500X comes with a 160-horsepower ,1.4-liter turbocharged four cylinder and a six-speed manual transmission in the base trim level, a rarity for crossovers and SUVs. Higher trim levels get a nine-speed automatic and a larger 2.4-liter naturally aspirated four-cylinder that puts out 180 horsepower. Front-wheel drive is standard, but all trim levels have access to all-wheel drive for $1,900 more. Additionally, all trims have access to extensive options, such as a dual-pane sunroof for $1,250 or an upgraded audio system by BeatsAudio. The base 500X Pop starts at $20,990 (including a $995 delivery fee) and comes standard with the smaller 1.4-liter engine and a six-speed manual transmission, but the more powerful 2.4-liter engine and nine-speed automatic are available for $1,500, which is required to equip the Pop with AWD. Inside, the Pop gets black cloth seats, and the usual basics like air conditioning. The only substantial option package available at this trim is the Popular Equipment Group for $795, which adds rear parking sensors, a USB port, satellite radio, and floor mats, but several appearance packages are available too. The Trekking trim level begins at $24,680 and is aimed at the more adventurous, with the larger 2.4-liter engine, nine speed transmission, and selectable driving modes that allow the 500X to adapt to most conditions. It also is available with the $1,295 Advanced Safety Package that offers features like blind spot monitoring, forward collision warning, lane departure warning, and automatic headlights. A $495 Cold Weather Package adds heated front seats and a heated steering wheel, while a Trekking Premium Package adds $1,495 but comes with a Beats audio system, a panoramic sunroof, and 18-inch wheels. Alternatively, the sunroof and Beats audio system are available in their own package, sans 18-inch wheels, for $995. 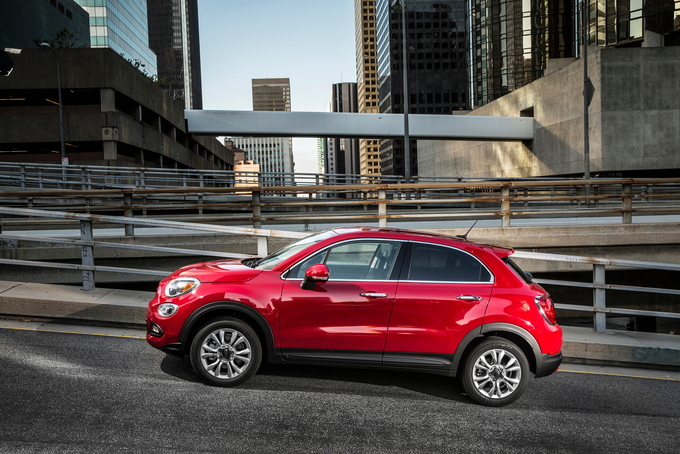 Available as an $845 option on the 500X Trekking, the Urbana Edition is a special edition trim level that is characterized by the use of what FIAT calls "Miron" or Metallic Iron paint throughout the car. It also gets unique cloth seats with a chevron design, and four exclusive paint choices. Otherwise, the Urbana Edition gets the same features and options as the Trekking. Standalone options for the 500X Trekking include leather upholstery, at $900, and a nav-enabled version of the seven-inch UConnect system for $695. The Lounge trim is the highest trim for the 500X at $26,510, so naturally it comes with more standard features than the others. The Lounge notably gets black or grey interior upholstery, heated cloth front seats. dual zone climate control, HD radio, and a power driver seat as standard features. It also has access to optional leather seats, as well as the Advanced Safety Package and a Lounge Premium Package, which mirrors the Trekking Premium Equipment Package. Believe it or not, the base Pop trim is the most fun to drive. While it may have a smaller, less powerful engine, it's actually faster than the other trims to 60 mph by a full second due to it's lighter weight and relatively high torque. 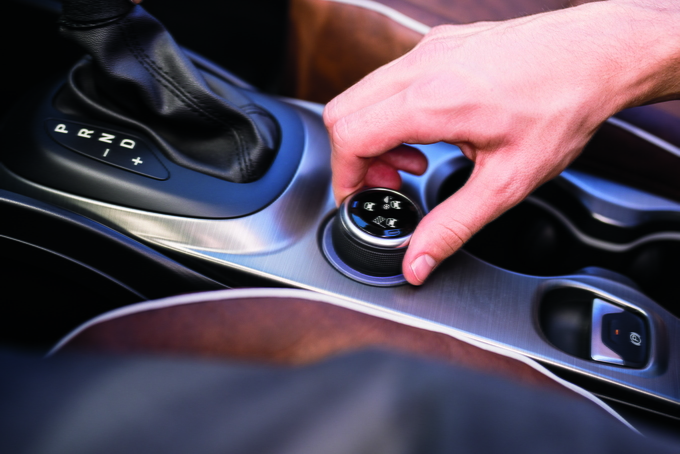 The manual is also in many ways preferable to the nine-speed automatic, as many complain about the automatic's tendency to be jerky and indecisive in an attempt to maximize fuel economy. Subcompact crossover sport utility vehicles represent one of the fastest growing vehicle segments in America. The 2018 Fiat 500X is one such model, delivering standard front- and available all-wheel drive along with a standard turbo engine. 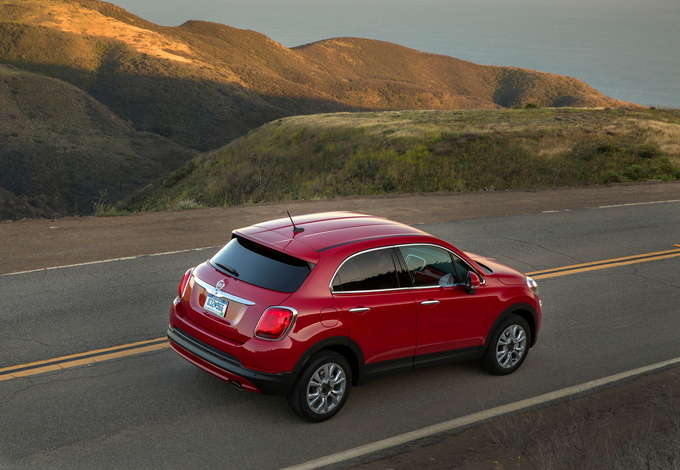 The 2018 Fiat 500X comes in four trims: Pop, Trekking, Urbana, and Lounge. Most shoppers choose the top Lounge trim as it comes well equipped and routinely offers the best discounts. We recommend the Lounge in front-wheel drive, although some customers in snowy climates may prefer all-wheel drive. The 2018 Fiat 500X offers two engine choices: a 1.4-liter turbocharged inline-four making 160 horsepower and 184 pound-feet of torque and a 2.4-liter inline-four with 180 hp and 175 lb-ft of torque. The base engine comes with a six-speed automatic transmission, while the larger engine works with a nine-speed automatic transmission. This two-engine choice serves the 500X well, although the lack of an automatic transmission option with the base model immediately has a significant number of buyers looking at models powered by the larger engine. Regardless, we think most customers would prefer the 2.4-liter engine anyway as it delivers the best off-the-mark acceleration. Fuel economy comes in at 22 miles per gallon in the city and 30 mpg on the highway. Neither number is especially impressive, however. Fiat has a certain style that’s successfully applied to each of its models. 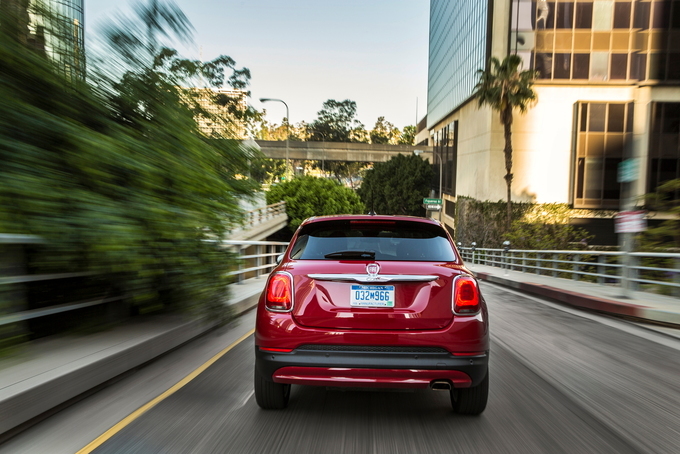 The Fiat 500 is the trendsetter with the 500L and 500X following. As for the 124 Spider, it represents Fiat’s take on its Mazda derivative. The 2018 500X advances the brand’s circular theme with its large rounded headlights, big wheel arches, and clamshell liftgate. It's a fun and iconic look, one that offers a tribute to the original canvas, while applying it to a thoroughly modern crossover theme. Inside, the design is no less dramatic with the circular theme applied nearly everywhere – to the instrument panel, center console, door handles, and headrests. The look is playful and youthful at the same time. The 500X lounge offers premium cloth seats, heated front seats, a power driver’s seat with lumbar support, dual-zone climate control, an eight-speaker audio system, navigation, and Android Auto and Apple CarPlay compatibility. Some may find the 500X’s styling too sedate. It shares its same platform with the Jeep Renegade, which may explain why the Jeep outsells the Fiat by a 10-to-one margin. Then again, the Jeep is the one with the true and available off-road credentials – you’ll want to utilize the all-wheel-drive 500X on light-duty off-road applications only. Anyone desiring the added utility and available all-wheel-drive capabilities of the 500X will shop this model against competitors from Mazda, Chevrolet, Honda, and the rest. On the other hand, if you’re looking for optimum fuel efficiency, only the base model with the manual transmission will do. We’re disappointed the nine-speed automatic doesn’t deliver the efficiency edge customers may want. The 2018 Fiat 500X takes the brand in a fresh direction, but the competition is fierce. For this reason, discounts are typically strong, lowering your final costs to rival the best prices in the segment. 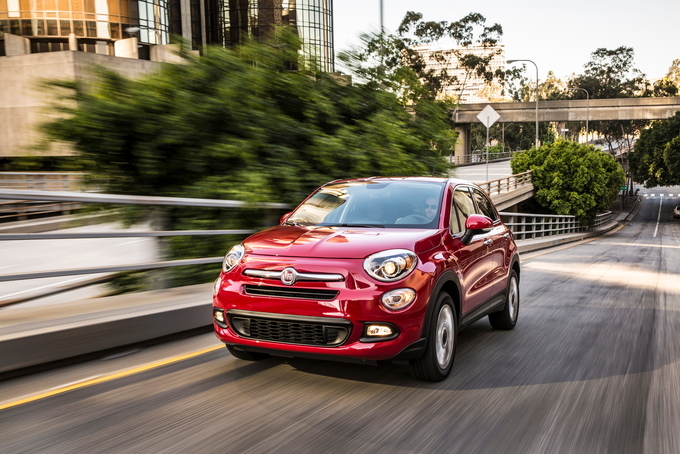 We have partnered with trusted dealers in your area to give you a great price on the new FIAT 500X.